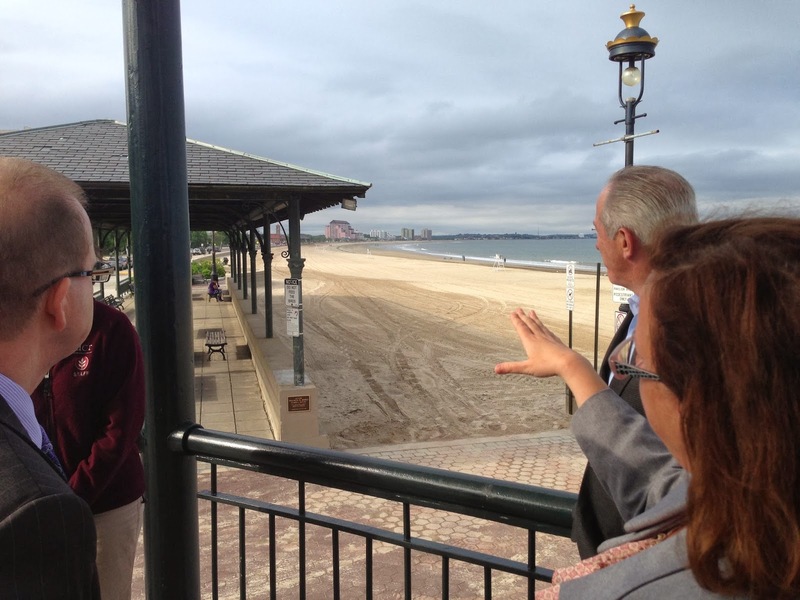 In the summer and fall of 2013, the Metropolitan Beaches Commission, in partnership with Save the Harbor/Save the Bay, held 10 public hearings at the Massachusetts State House and in Nahant, Lynn, Revere, Winthrop, East Boston, South Boston, Dorchester, Quincy, and Hull. Nearly 700 people participated in the hearings and hundreds more took part in an online survey. We invite you to take the survey - just click here. Later this year the Commission will issue its final report, but before we do we want to circle back with you to make sure we got it right. 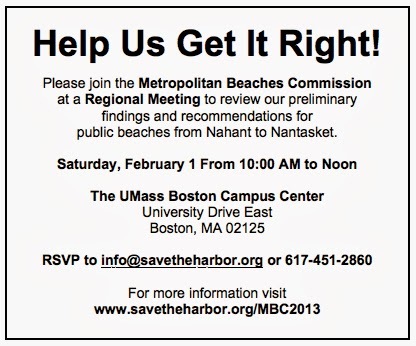 On Saturday, February 1, 2014 the Metropolitan Beaches Commission will hold a public meeting at the UMass Boston Campus Center from 10:00 a.m. - 12:00 noon. At that time we will share our preliminary findings and recommendations with all of you who share our hopes, dreams and concerns about the future of these beaches. We believe that our region’s public beaches are extraordinary assets with the power to strengthen waterfront neighborhoods and beachfront communities from Nahant to Nantasket. We hope you will join us on February 1st as we continue to look for ways to move these beaches from good towards great. My name is Christian Herbosa. I am originally from St. Louis Missouri, but I moved up to Boston to attend Tufts University. At Tufts I earned an undergraduate degree in International Relations and in Economics. This academic year I have enrolled in several GIS related courses at the Harvard Extension School. This January I joined Save the Harbor / Save the Bay as the new Environmental Policy Intern. I was drawn to STH/STB through my love of the ocean, and interest in environmental policy and advocacy. After moving to the East Coast I picked up the surfing and scuba diving. Through these recreational ocean activities, I really began to see what a great resource a nice beach with clean water can truly be. That’s why I’m excited to work with Save the Harbor / Save the Bay. So that I can help protect and share one of the country’s most valuable natural resources: the Boston Harbor. 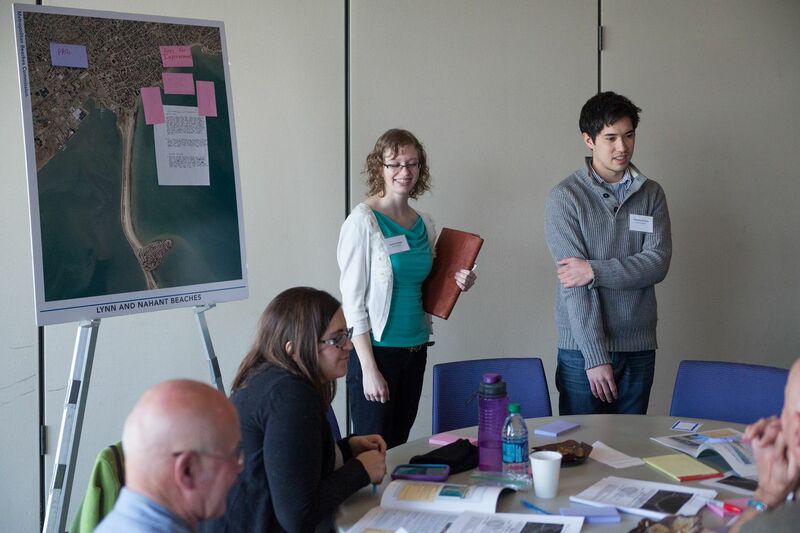 I recently attended the Metropolitan Beaches Commission public meeting, where I was able to witness first hand how the public involvement of the waterfront neighborhoods and beachfront communities can influence policy. Share the Harbor with Save the Harbor/Save the Bay!